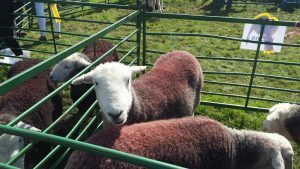 As we head towards August, the local agricultural societies begin to put on some fantastic events to showcase the traditional farming methods, livestock and cultural activities that give Cumbria its unique character and heritage. If you have never visited one of the shows then I can highly recommend them to provide a wonderful insight into the farmers and shepherds way of life, not to mention traditional hobbies like Cumberland wrestling. They provide a great opportunity to get up close to the animals, see working dogs in action and to sample some of the best food and products that Cumbria has to offer. Saturday 4 August 2018: Cockermouth & District Agricultural Show, The Fitz, Low Road, Cockermouth. Entertainment for everyone, an action packed day for all the family. Judging of animals starts at 9.30pm along with the BSJ show jumping. This show is centred around an open sheep dog trials competition. As well as the dog trial there are many other attractions, mingle with hill farmers, their families, local residents and visitors from around the world. Take a while to listen to the ancient Cumbrian dialect whilst enjoying the attractions for a leisurely few hours. 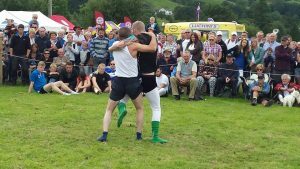 Horticulture, Cumberland & Westmorland Wrestling, Fell races. Traditional sheep dog meet, with first run at 9.30am and trophy presentation at 4.30pm. A packed day of animal shows, fell running, wrestling and carriage driving. 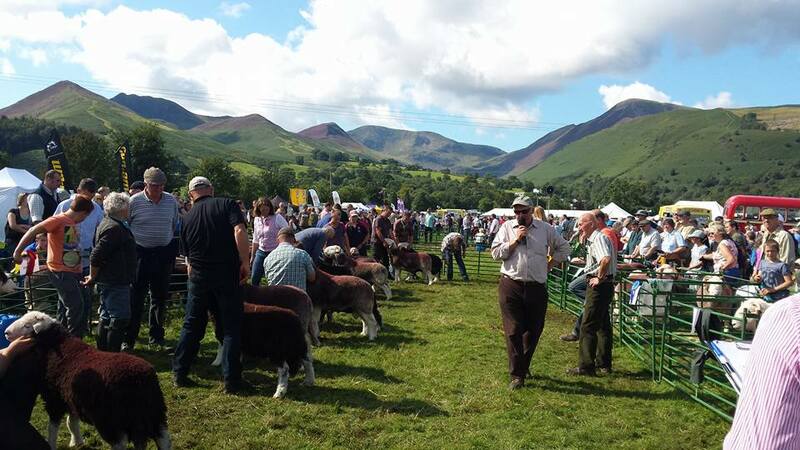 On the third Sunday in September Rosthwaite sees the Borrowdale Shepherds’ Meet and Show take place. Fell racing, sheepdog trials, hound trailing, and craft displays are all part of the action. It is believed that the “Shepherds Meet” started off with farmers from Wasdale meeting the farmers from the adjoining valleys of Ennerdale, Buttermere, Borrowdale, Eskdale and possibly Langdale, who walked their Tips (Rams) over to Wasdale Head to trade them, swap them or hire them. This is why the show is held so late in the year, Tip Lousing (Letting the rams loose with the ewes) in the valleys being in November so lambs being born in April. Over the years, it has broadened its activities to include arts and crafts, and its famous tractor run. I hope that you will get a chance to catch one of these authentic Cumbrian experiences. As usual, we are always keen to hear your recommendations for great days out. We also have some availability during this period, so please check the availability pages to book and for pricing information. Previous Post Last July availability – 5 Howrahs Court reduced and week 3 Convention still possible Next Post September Already?